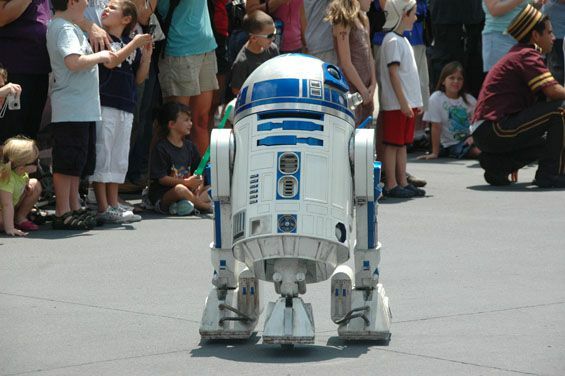 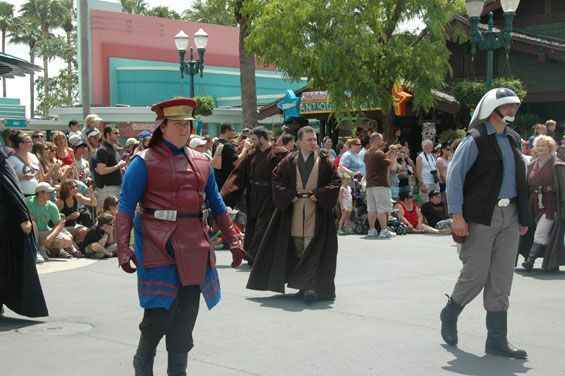 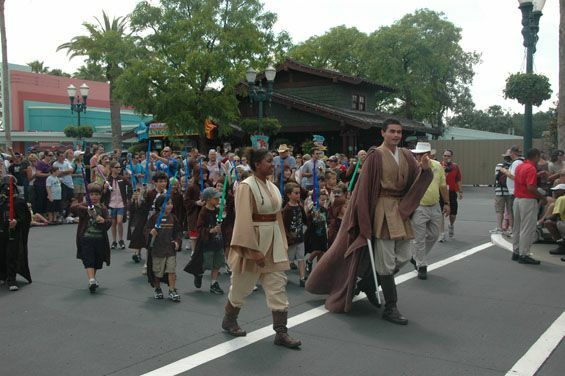 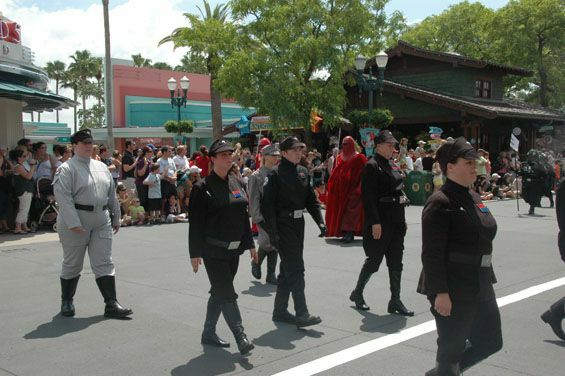 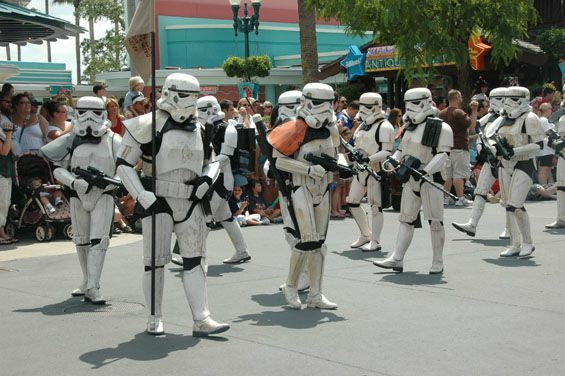 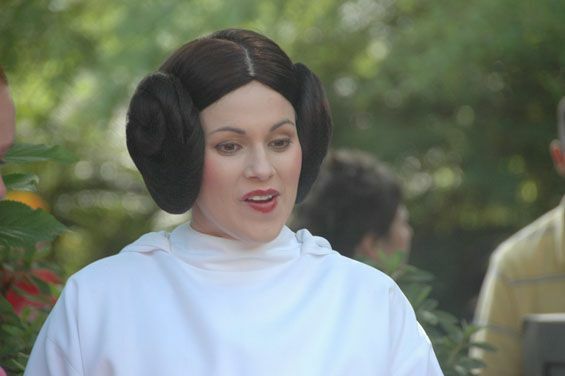 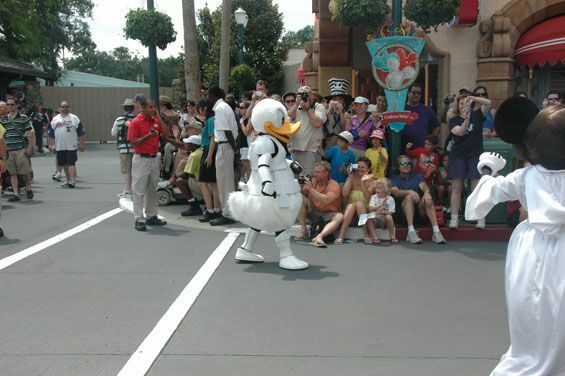 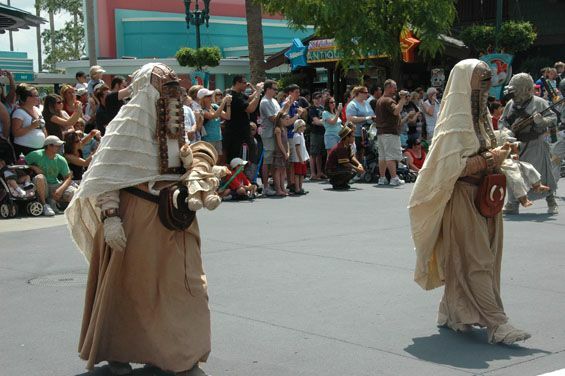 You know it must be Star Wars Weekends when you see guests walking around the park in their Star Wars outfits. 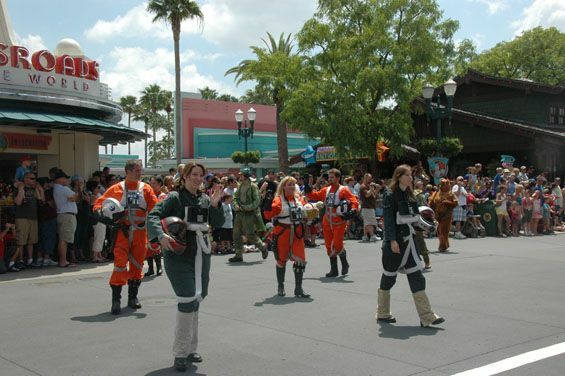 I went over yesterday and the park was packed with guests enjoying the event. 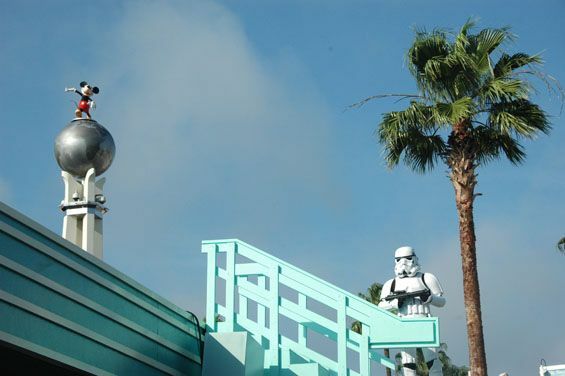 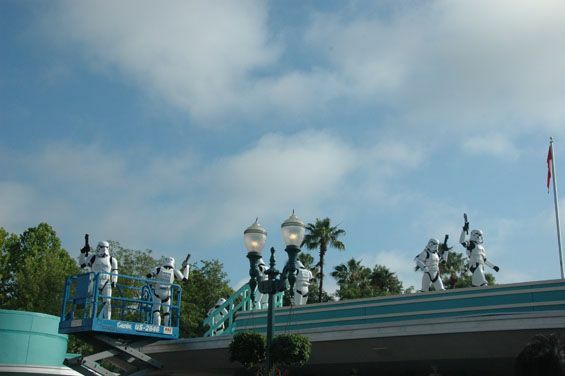 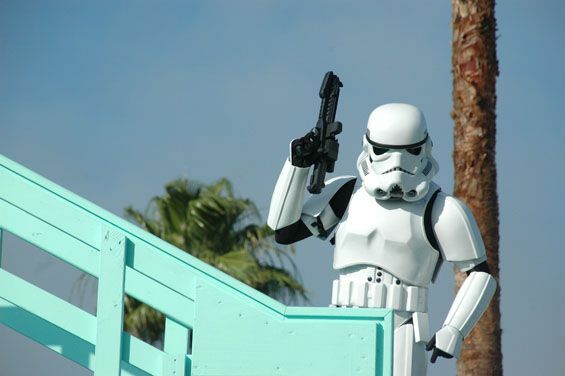 The first clue that this was no ordinary weekend at Disney’s Hollywood Studios were the Storm troopers up on the roof as you entered the park. 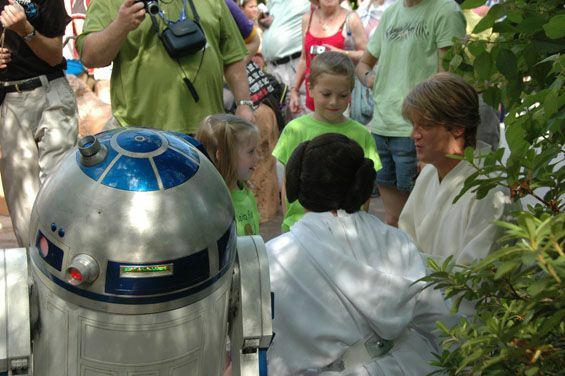 They were talking to the crowd as we waited in line. 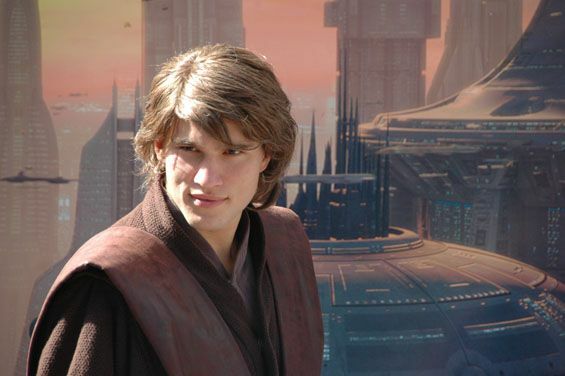 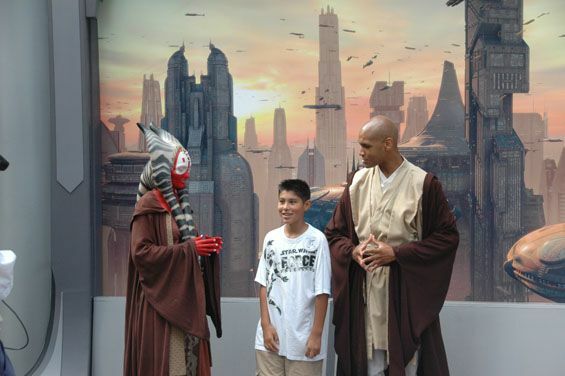 I won’t even pretend to tell you that I know about Star Wars. 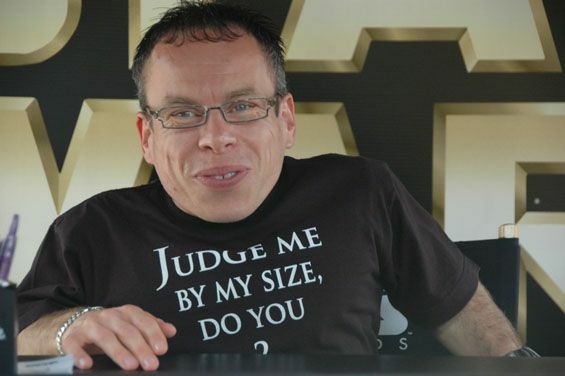 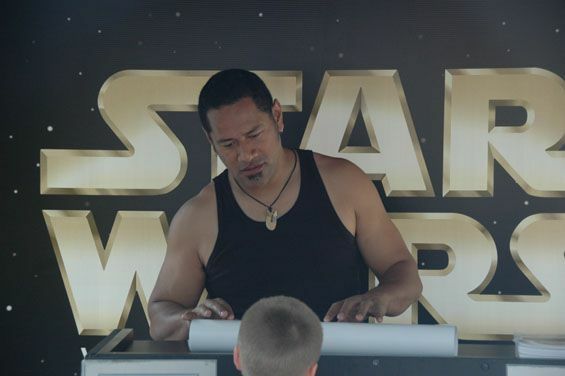 I must confess I have never seen a Star Wars movie. 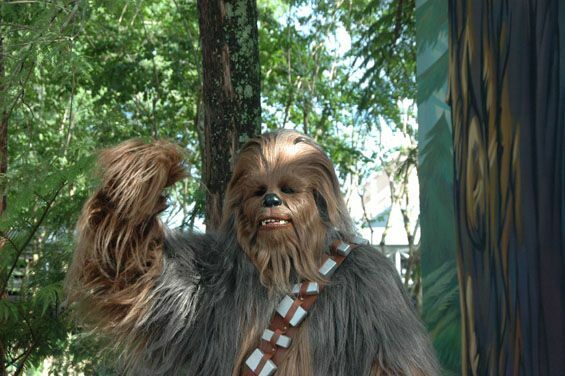 I have seen bits and pieces of the various movies but I would flunk any trivia challenge about Star Wars movies. 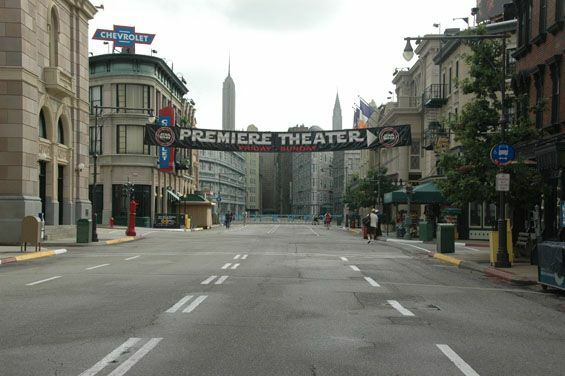 The cast members as you entered gave you a map to help you find where all the events were being held. 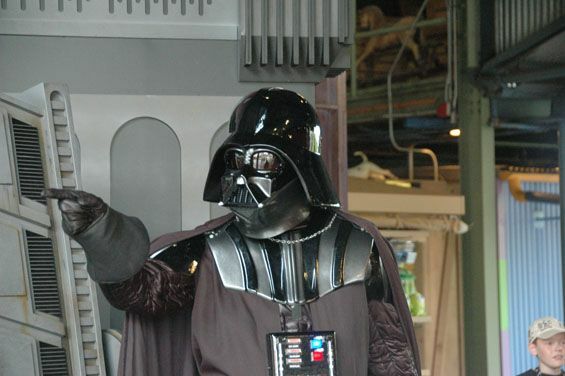 The map and events will be updated weekly so be sure to check for any changes. 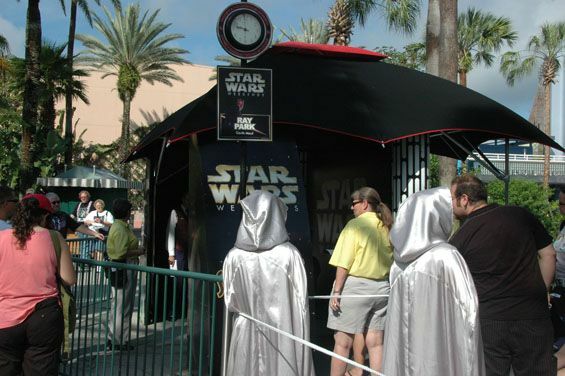 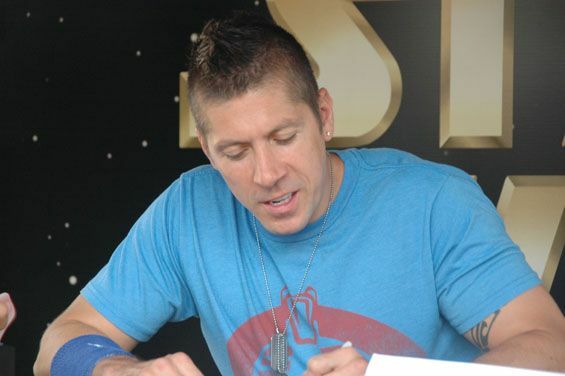 There were many many people that had waited in line to get the special fast passes needed for the autograph sessions. 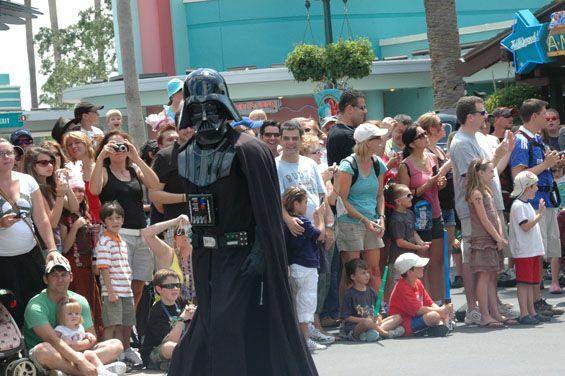 I would suggest if you want autographs to get there early as they were gone shortly after the park opened. 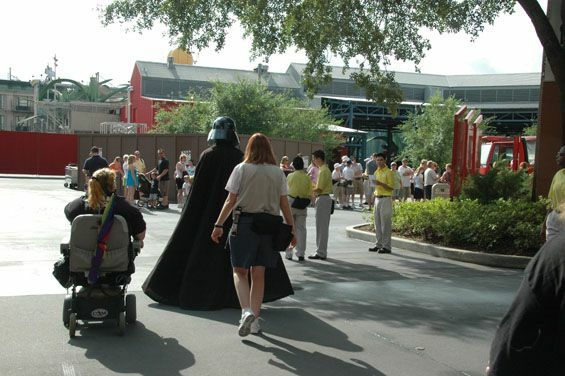 I started off around the park to catch the various characters. 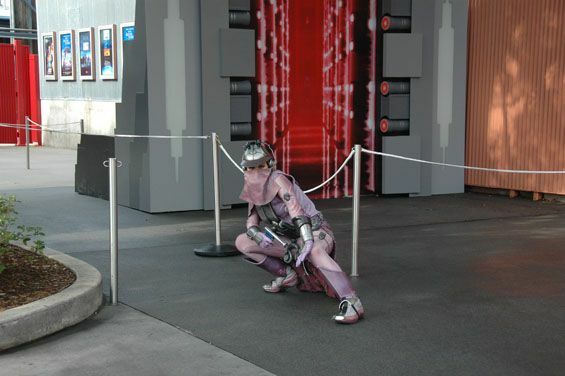 In front of Star Tours they had quite a few of them. 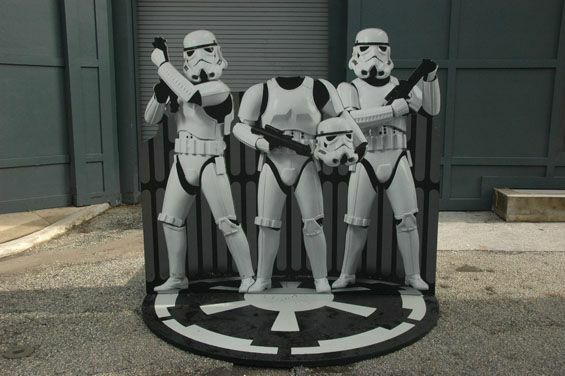 They do rotate so you might want to stick around if you are trying to catch your favorite character. 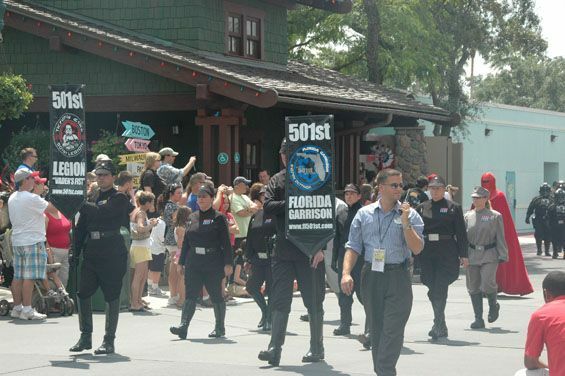 I didn’t find the crowds as bad as Super Soap Weekend so I was able to get lots of pictures. 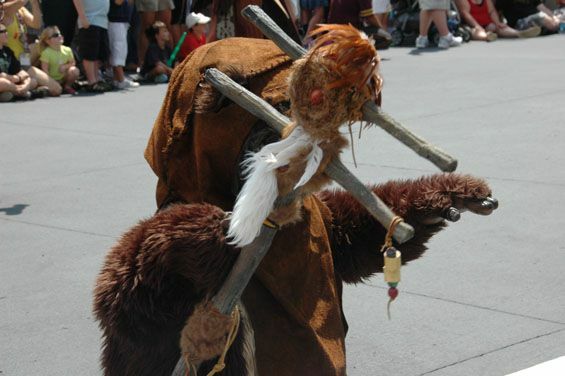 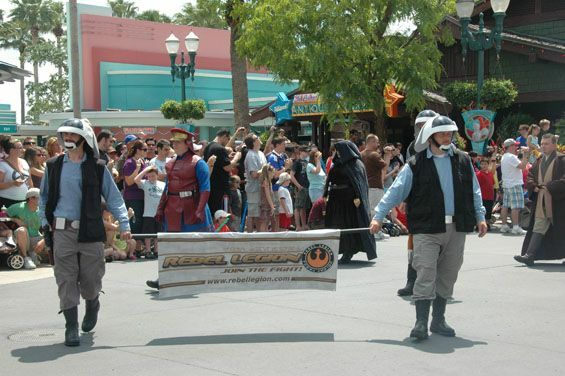 The thing that really amazed me was the number of guests dressed up in costume for this event. 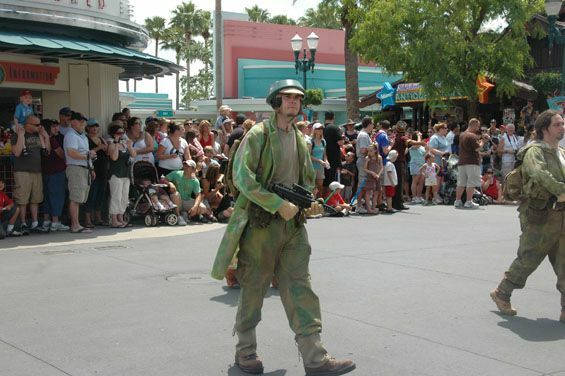 There were so many people dressed up that I couldn’t tell sometimes if they were “real” or just big fans. 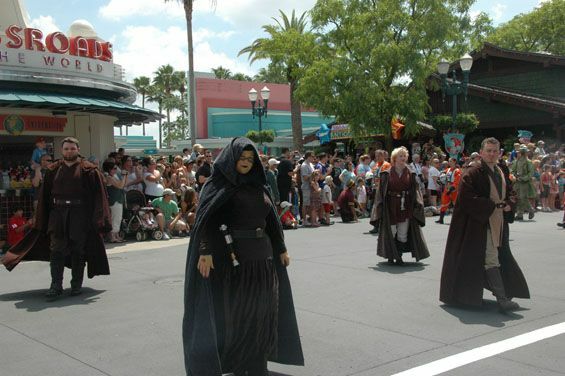 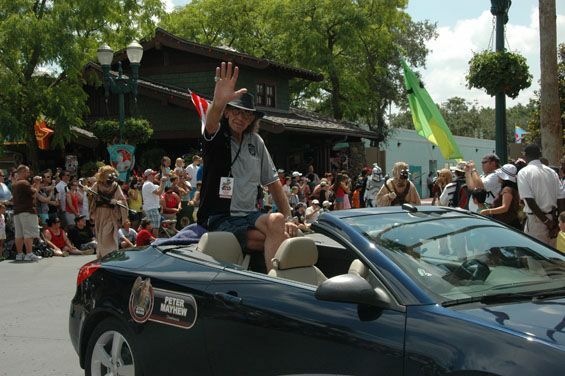 I will be going back this weekend to catch more characters and the parade so check back because I will update this blog. 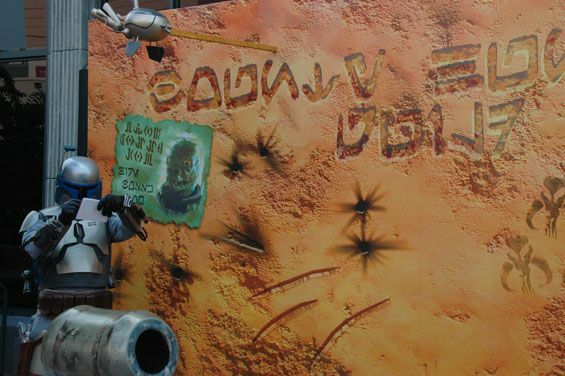 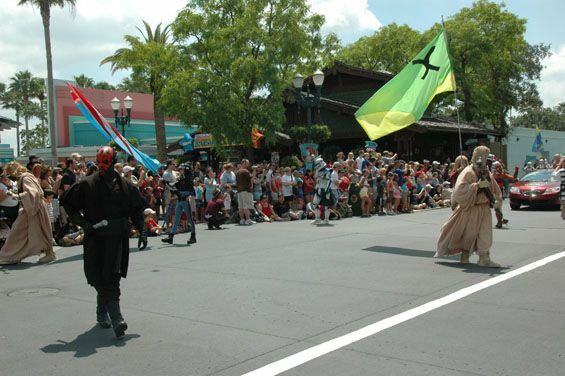 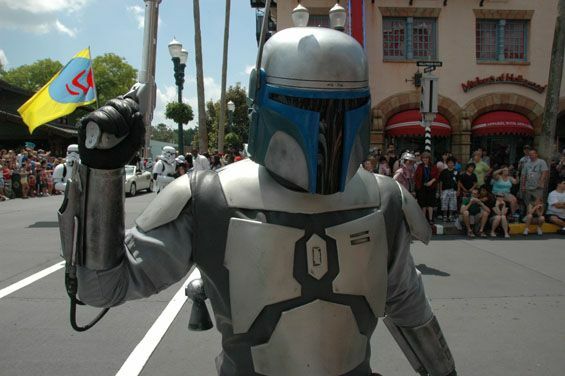 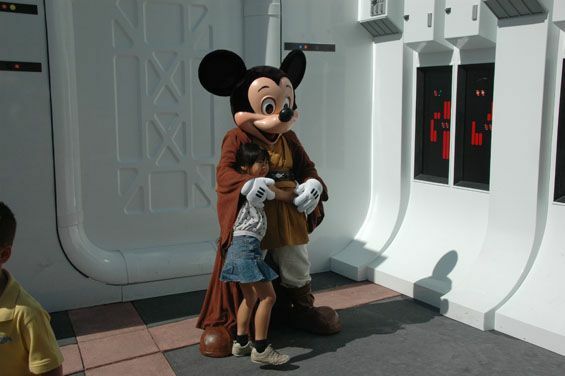 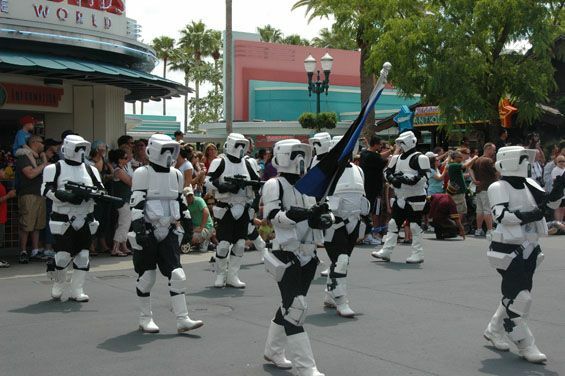 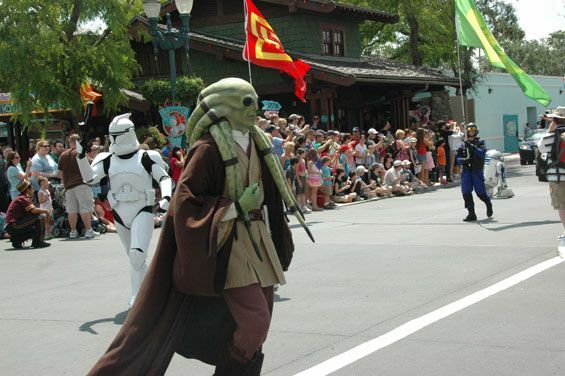 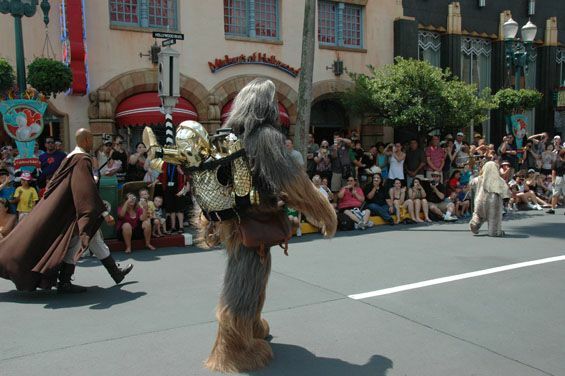 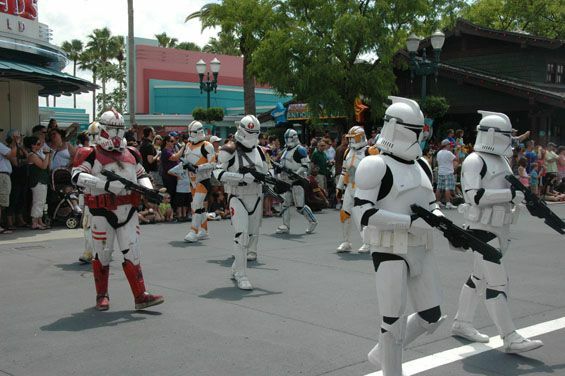 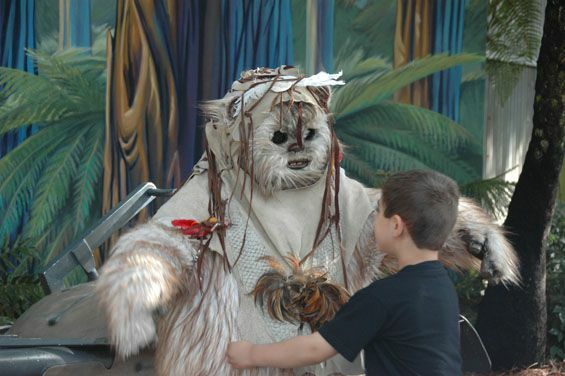 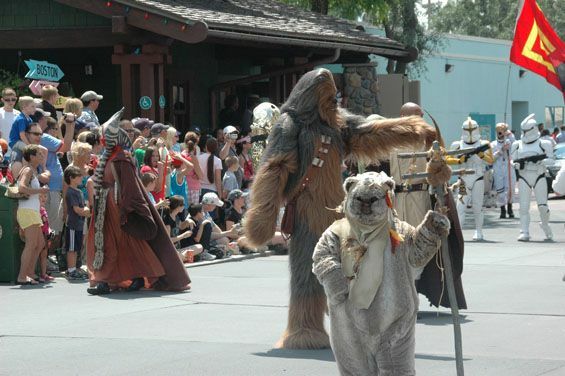 If you are a Star Wars fan there are several more weekends for you to enjoy this event at Disney’s Hollywood Studios. 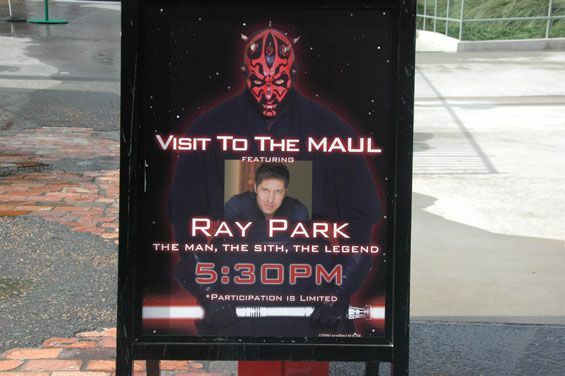 You don’t want to miss this event. 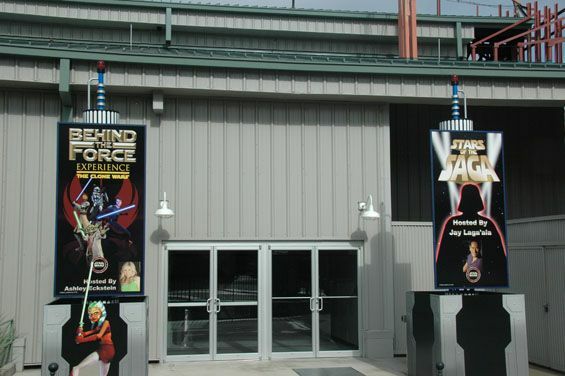 Be sure to bring plenty of money for those great Star Wars souvenirs. 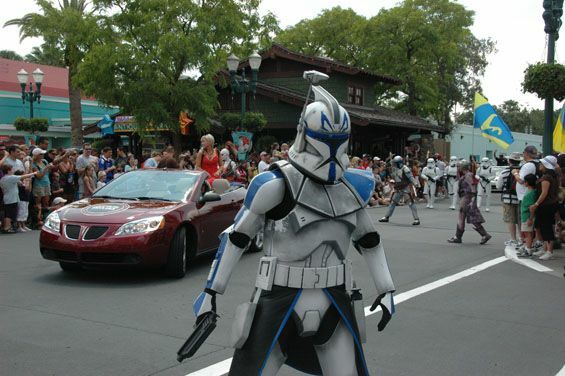 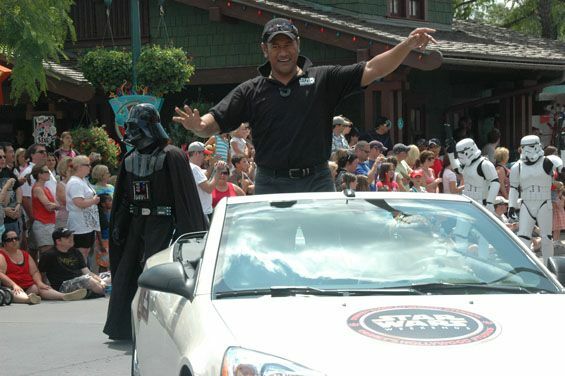 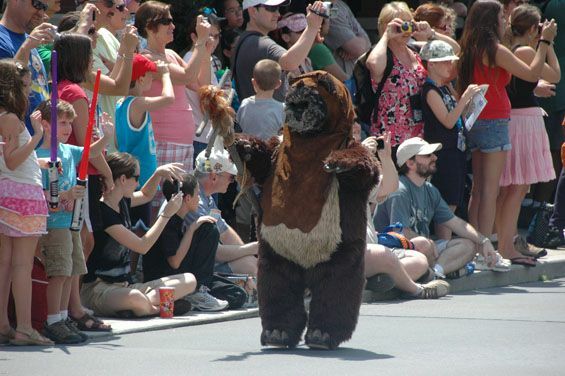 I did go back to Star Wars Weekend this past weekend for the parade. 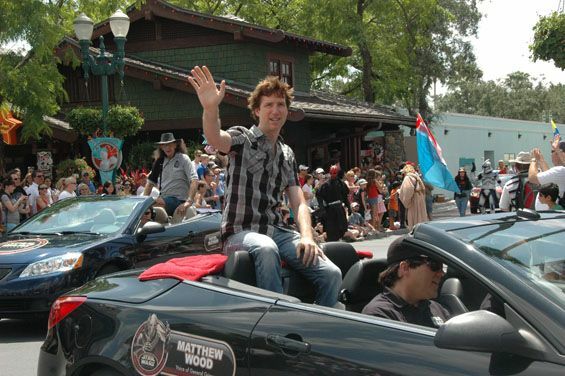 I promised to post more pictures. 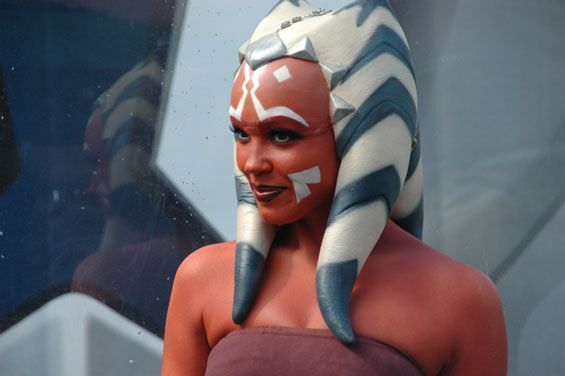 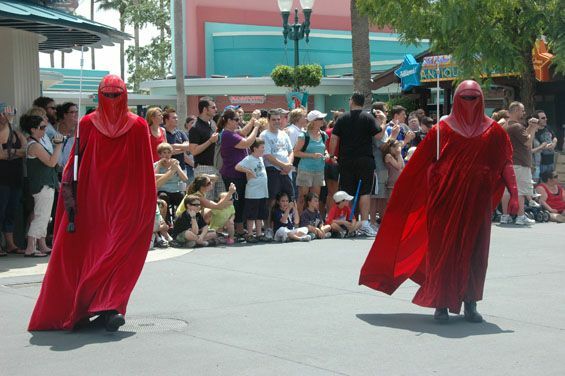 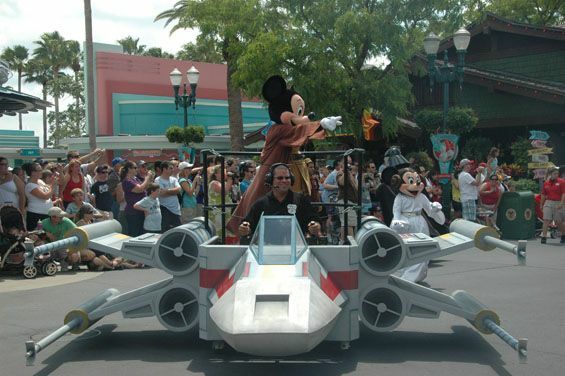 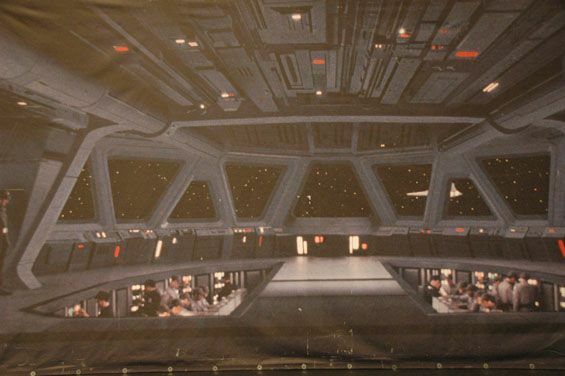 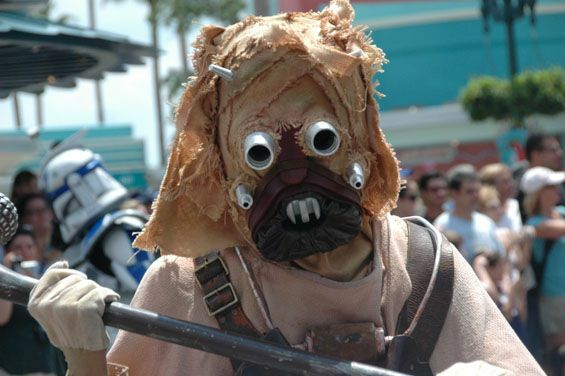 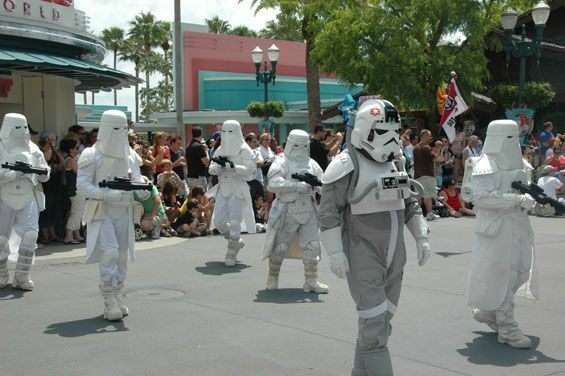 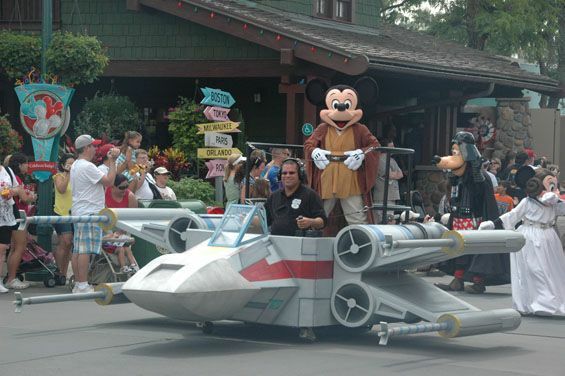 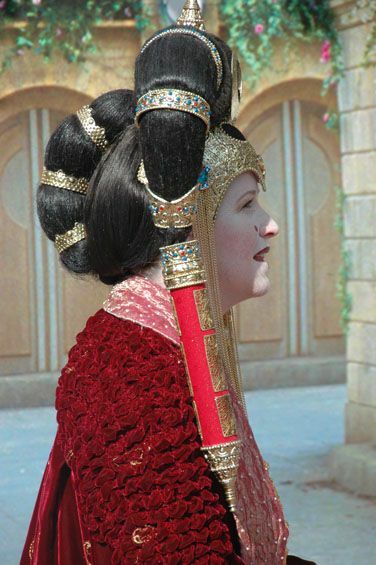 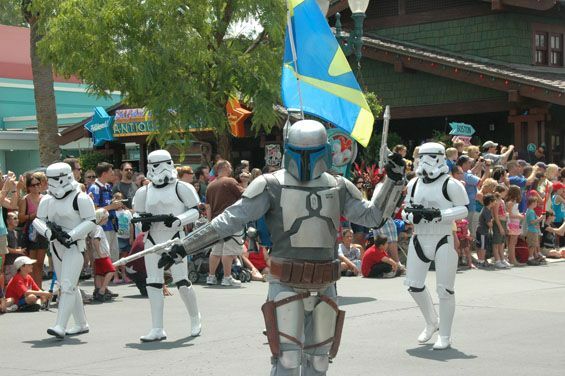 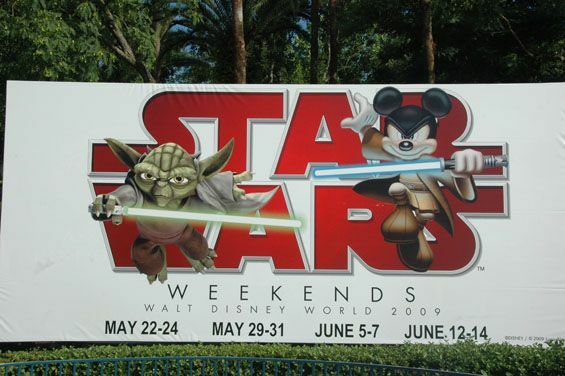 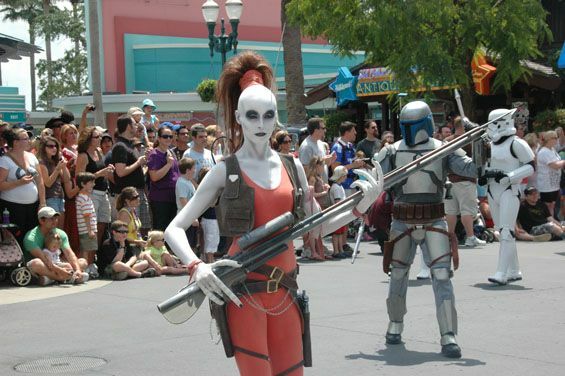 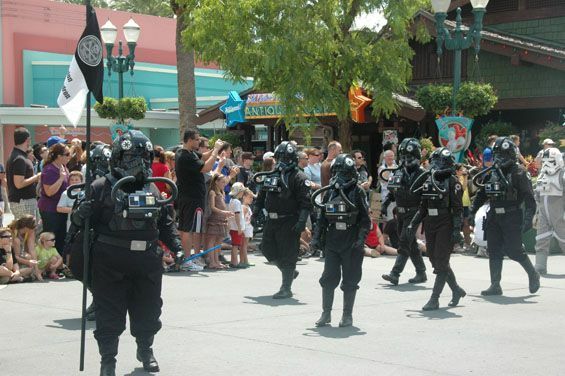 Celebration V, An Extreme Star Wars Weekends – On Steroids!